Responsive web design is an approach to web design in which a site is crafted to provide an optimal viewing experience across a wide range of devices. 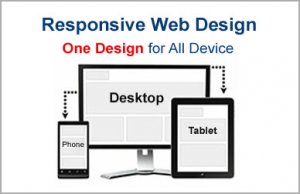 Responsive design for web is the ultimate solution to the ever-increasing variety of platforms. Your website doesn’t just sit on a desktop any more. Responsive Website design could be an oversized desktop computer monitor, a laptop, a 10-inch tablet, a 7-inch tablet, or a 4-inch smartphone screen. Sites built using responsive design give a website visitor a better user experience regardless if they are using a smartphone or tablet. Responsive websites will be optimized for searches and geared up for sales. Provide broader content on your mobile properties. Responsive website will be available seamlessly across desktops, laptops, tablets and mobile phones. Website will see more leads from mobile traffic. Mobile conversion rate so now you never have to lose business. Google recommends responsive website for improved search visibility. A responsive website improves SEO and reduces the amount of maintenance hassle, meaning there won’t be a drop in your website speed either. It’s a lot more stress free for the owner and the visitor. but we discuss an extra mile to move you forward in deploying a brand strategy, reorganizing your online existence and help you to dominate your business area. Our team has all the tools and technology to make your website more accessible: media queries, flexible grid based layouts that use re-sizing, and flexible images & media. Our team is committed to balancing out your requirements with giving your audience the best experience possible. We always make an extra effort to design the outstanding Responsive website for your company. Our professionals thoroughly ensure that the online representation of your business is as neat and clean as your actual physical storefront. Not only can we incorporate responsive in your new website design scheme of things, but if you already have a website, we can modify it and make it responsive. Choose a responsive website design company that understands responsive website design and mobile website design better. 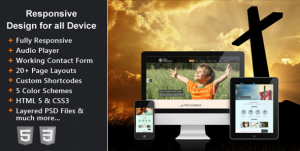 Why Omkarsoft for your responsive web design?